A visit to Niagara Falls offers up a wealth of choices. Where to stay? What to eat? What activities should you try? 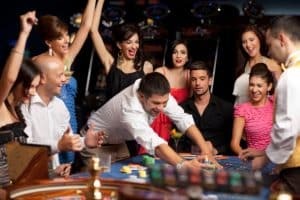 Is a casino visit worth it? While we can always answer those questions and more, especially with the help of our valued concierge team, we can also give you some insight into our property. Sure, we’re biased, but we do think that Sheraton on the Falls offers up a comfortable and affordable location right in the heart of the vibrant action of Niagara Falls. So join us as we give you a virtual tour of what we think is the best hotel for a Niagara Falls vacation. What would a great hotel be without packages to suit every type of traveler? We know that you want to maximize your time and minimize your expenses, so we’ve created Niagara hotel packages that will appeal to everyone. 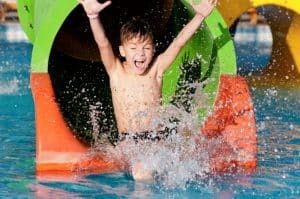 We offer a waterpark package for those visitors with children who only want to swim. We have a casino package for adults who want to experience Niagara’s fun side. Spa packages and couples’ packages are also available. We know our guests and their preferences, so we strive to accommodate them with packages that suit their needs. If you’re a foodie you’ve definitely come to the right place. Sheraton on the Falls boasts a number of in-house dining options plus other favorites that are just minutes away in the Falls Avenue Resort area. Whether you’d just like a quick latte or would prefer something more refined, we’ve got you covered. Windows by Jamie Kennedy is more than just food, it’s a culinary experience featuring farm to table ingredients. Hard Rock Cafe offers up great burgers and other comfort dishes, and the Fallsview Buffet has something for everyone. So rest assured; if you’re hungry we can help. Kids love Sheraton on the Falls and for good reason. The activities available to them in and around the hotel are a child’s dream come true. The Fallsview Indoor Waterpark is just steps away and is directly connected to the hotel. Your kids will have hours of fun playing and splashing in this three acre fun zone. Nearby Clifton Hill is also a wonderful way to entertain your children, and attractions like the Niagara Falls Skywheel are fun for kids of all ages. Venture further afield to visit the Castle Dracula Wax Museum or Captain Jack’s Fun Center. Sheraton on the Falls is also a playground for grownups. From our luxurious spa that offers massages and body treatments of all types to our direct access to Casino Niagara, couples and groups will never find themselves bored. Niagara Brewing Company is also nearby, so be sure to check out their fine selection of beers and yummy appetizers. It’s a lively place and is perfect for meeting fellow travelers. Sheraton on the Falls is the perfect hotel for your next visit to Niagara Falls. Whether you’re traveling as a family, a couple, or a group it’s the perfect location to make your Niagara trip one to remember. What are you waiting for? Book your stay today!